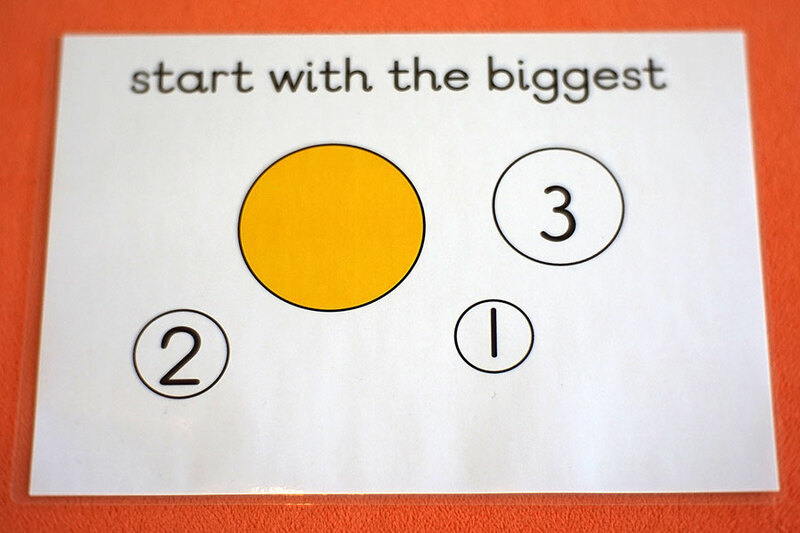 Children who have a good understanding of ‘slide and count’ are ready to tackle ‘start with the biggest’. Not all adding sums are conveniently arranged with the addends from largest to smallest, so i’m empowering my students to deal with this themselves. In class, we’ve spoken about why it’s easy to add on a small number when using ‘slide and count’ and that the addends in sums can be reversed. So it’s not a big leap for the children to understand they can pick which addend to start with. If using a worksheet, I ask them to circle the biggest number. – Discussions and demonstrations help the children to understand how and why addends can be reversed.